Sizzler is a multi-chain restaurant known for its steak and salad bar dishes. The brand is popular for families who’d love a good grill of ribs, seafood, and chicken at an affordable price. 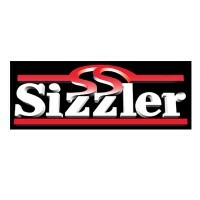 Del and Helen Johnson founded Sizzler Family Steak House on January 27, 1958, and opened it with only $50 on hand. Their rib-eye steak caught the palate of customers. Soon, everyone was enjoying a steak meal for $0.99 back then. For 60 years, the chain brought 50 fresh ingredients and introduced new products. They have 270 stores in the US and are available in seven countries managed by Collins Foods. Sizzler personnel enjoy personal and family health insurance, 401k retirement plans, and paid leaves. The staff also gets discounted meals and free beverages during their shifts. The restaurant gives employees an opportunity to serve people in all walks of life. They get to learn how to handle customers’ needs. Managers create a learning environment for all staff and interact with them as much as possible. How old do you have to be to work at Sizzler? Only a few stores open vacancies to applicants 16 years old with at least a high school diploma. Most often, the restaurant prefers hiring job hopefuls who are 18 years old or older. Applicants can look forward to submitting their resume for entry-level job vacancies. A few of the most sought positions at the store are servers, attendants, and cashiers. Cashier: They receive payment by cash, card, or coupon and issue receipts to customers. More so, they consolidate the cash registry at the start and end of their shifts to ensure that the amount is correct. Other ad hoc tasks include resolving customer complaints and provide information on policies. Food servers: Employees prepare food and deliver it to the customer at the tables. They’re responsible for cleaning and clearing utensils in preparation for the next customer. Food servers assist waiters and may replenish siders and drinks for the customer. Salad bar attendant: The staff tends the salad bar and may tell customers on the prepared food. They also make sure that the ingredients are fresh and clean for the guests to eat. Other than preparing the menu items for the bar, they must follow food safety standards. Utility Worker: A utility worker performs maintenance job to make sure that the equipment is working. The employee is set to fix vehicles, air conditioning units, kitchen equipment, and more. For larger companies, an experienced worker can become head of the utility department. Dishwasher: A dishwasher cleans plates, utensils, pots, and glass wares after use. They keep the kitchen in order to maintain the orderliness of the place. Washers get to clean equipment used in preparing food and report to supervisors for tech failures. Prep Cook: Prep cooks prepare the ingredients used for cooking. They wash, slice, and keep the produce in the chiller. Employees are also expected to stock and label ingredients in a cabinet for easy access. They also get to take basic cooking duties like boiling and prepare simple dishes. Host or hostess: A host or hostess greets the customers and welcomes them inside the store. They log reservations and entertain customers who are waiting for the next vacant tables. As hosts, they’re always stationed at the entrance and may hand out flyers to passersby. Driver: Drivers are expected to deliver the goods to the customers. They load the food and make sure they are in good condition upon arriving at their destination. They take other responsibilities like accompanying staff members for business runs. Drivers regularly inspect the vehicle for maintenance. Kitchen team member: Employees get to do basic janitorial jobs to ensure the cleanliness of the store. Some kitchen members do ad-hoc duties like checking stocks and making deliveries. There are times that they do clerical works like reports and documentation about the status of the kitchen. Waiter: They wait on tables and take customers’ orders. Waiters get to advise guests on the specials for the day and how long is the preparation time. They get to tend to the customers’ concerns and addressed it properly. They, too, replenish side orders and drinks. Job seekers can apply directly at the store with their paper documents in hand. They can also submit all their requirements at the restaurant’s website, where they can opt for their desired locations and shifts. Online applications are available on the store’s main webpage. One is free to claim a management or hourly position depending on the experience. Job listing websites would require you to create an online profile before applying. One must treat online applications as though it’s a direct submission to the employer. Review your resume and cover letters if there are any grammatical errors made. The employer receives hundreds of emails in a day, so be patient. You need to tailor your resume to the most relevant skill, accomplishment, and experience for the job. Keep your resume short and simple. It should be designed for skimming purposes. You can supplement your experiences with an online profile. Before the interview, you need to be knowledgeable about the company you’re going to work with. During the interview date, show up early and dress neatly and professionally. Sizzler is a restaurant chain where everyone is welcome. Employees get to mingle with individuals from all walks of life and from different parts of the world. The working environment is diverse and curated for learning and growth. The restaurant has introduced food truck business, farm-to-table concept, and digital menu boards, among many others. Sizzler is celebrating its 60th year and is currently looking to boost the business with innovative approaches. The chain is popular for its steak ribs, seafood grill, and salad bar options. By incorporating fresh farm produce in the dishes, the meals are holistically healthy and nourishing. The store chain has a range of marketing programs catering to the needs of the local community. They implement the No Kid Hungry where they donate healthy food to every child in the US. 1 How old do you have to be to work at Sizzler?